SNES Mega Man X3 (USA) in 43:35.52 by Prower. Though this run is done very quickly indeed, there are some minor stylistic improvements that could be made such as boss optimization, higher accuracy, and unnecessary damage being avoided. 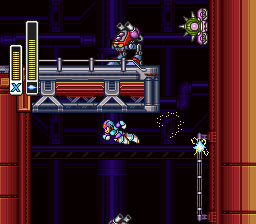 The page "Mega Man X Tricks" explains some of the tricks that are and/or can be used in the X series games.